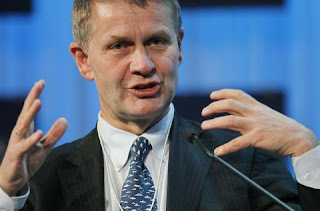 NAIROBI, Kenya (PAMACC News) - Erik Solheim, a former Minister of Environment and International Development in Norway has began his tenure as Executive Director of the UN Environment Programme, with the concurrent position of UN Under-Secretary-General. Mr. Solheim assumes his new role as chief of the global authority on the environment after three years as head of the Development Assistance Committee (DAC) of the Organization for Economic Cooperation and Development (OECD). In taking up office, Solheim pledged to work with countries around the world to tackle some of the most pressing environmental challenges of our time, including ocean and air pollution, the destruction of ecosystems, climate change and the relationship between the environment and conflict and migration. He also promised to focus on environment issues close to people, such as damage to human health from air pollution. Solheim said, "There is an urgent need to fight climate change, halt ecosystem destruction, and reduce pollution for the benefit of all peoples everywhere. By protecting our planet, we protect ourselves and in the process can help bring every last person out of poverty. We all have a stake in a healthy planet." 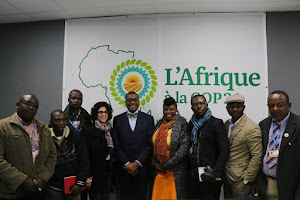 He noted other urgent areas to address include the private sector investment needed for sustainable development, greening the finance sector and creating jobs and markets with clean and green technologies. "Financing the preservation and rejuvenation of our planet cannot be the purview of governments alone. Private sector finance is both vital for sustainable development, and an opportunity for business. As never before, markets are rewarding investments in clean and green jobs and technologies." Solheim also underlined that issues like climate change and sustainable development are issues that no one country or organization can solve themselves, and that the world must come together to tackle environmental challenges. "With successes like the Paris Agreement and the Sustainable Development Goals, the world has achieved a lot in recent years when it comes to the environment. We can achieve a lot more. But the only way to do this is by working cooperatively. I look forward to working with member states and welcoming voices and efforts from all parts of society to tackle our common challenges. "Our planet is vulnerable, but I'm optimistic we can resolve the environmental problems we face. There's little we can't achieve when we pull together with cooperation, collaboration and a can-do attitude." Solheim arrives after having served as Chair of the DAC of the OECD since 2013. Since that time, he has also served as UN Environment Programme's Special Envoy for Environment, Conflict and Disaster. Known as the 'green' politician, he held the combined portfolio of Norway's Minister of the Environment and International Development from 2007 to 2012, and served as Minister of International Development from 2005 to 2007. Having spent most of his career fighting for the environment in national and global politics, including through non-governmental organizations and during his combined ministerial portfolio, Mr. Solheim has focused on the challenge of integrating environmental and developmental issues. During his ministerial tenure, Norway reached 1 per cent of its GDP for overseas development assistance and passed the unique Nature Diversity Act. He initiated the process leading to the global coalition to conserve and promote sustainable use of the world's rainforests - the UN REDD - gaining invaluable diplomatic and organizational experience. Holding an undergraduate degree in history and social studies from the University of Oslo, Mr. Solheim has received several awards for his work on climate and environment, including UN Environment Programme's "Champion of the Earth" award, and contributed to a number of peace and reconciliation efforts, most notably as the chief negotiator of the peace process in Sri Lanka. Born in 1955, he is married, with four children.